This morning, DC machinery delivery 3 sets ZCQ270 vacuum degasser to our old cooperator in Russian. The 3 sets vacuum degasser are respectively used in 3 sets drill rig site in different areas. Vacuum degasser can wipe off the invaded gas from drilling mud quickly, restore drilling mud proportion, keep mud viscosity performance and improve the quality of drilling fluid. Vacuum degasser uses vacuum to release free and dissolved gas in water, and then discharge them through the automatic exhaust valve system. At the same time, the degassed water will be injected into system. This low gas content water is not saturated with highly absorbent for gas, it will absorb the gas in the system to achieve the gas water balance. Vacuum degassing machine repeats this cycle every 20~30 seconds. This movement in circles removes all the gas in the system. 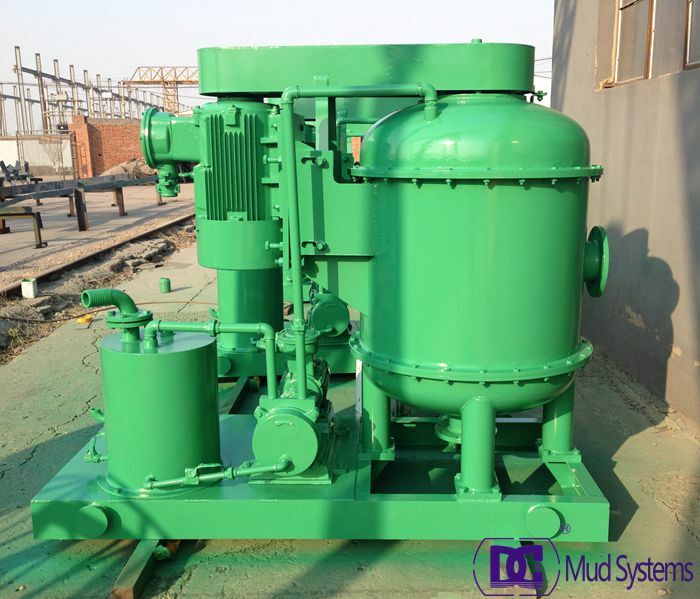 Vacuum degasser produced by DC Machinery is suitable for various supporting of drilling mud solids control system, it plays an important role in restoring drilling mud performance, and can also be an agitator with big power. One method of removing solids from drilling mud is to pass the mud over the surface of a vibrating screen. Particles smaller than the openings in the screen pass through the holes of the screen along with the liquid phase of the mud. Particles too large to pass through the screen are thereby separated from the mud for disposal. Screening Surface. 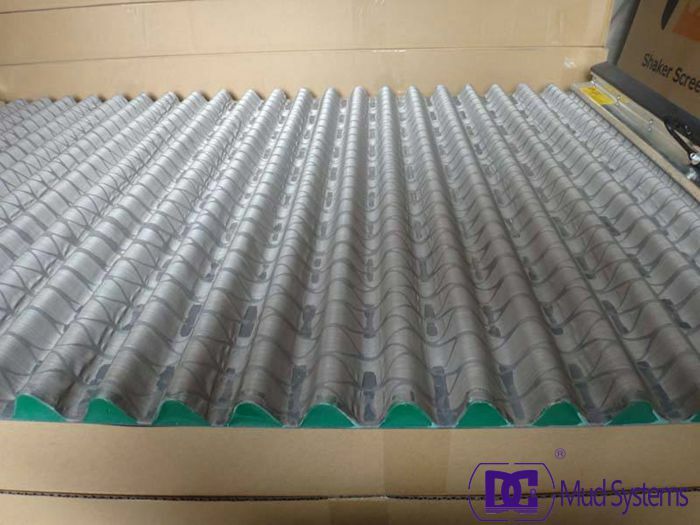 Screening surfaces used in solids control equipment are generally made of woven wire screen cloth, in many different sizes and shapes. The following characteristics of screen cloth are important in solids applications. Screens may be constructed with one or more LAYERS. 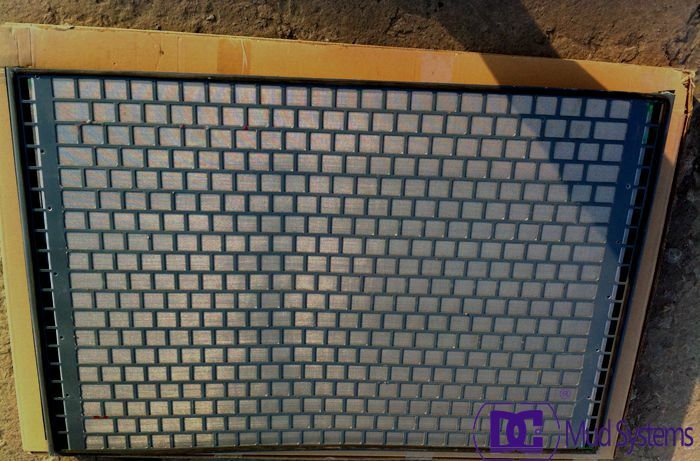 NON-LAYERED screens have a single screen cloth mounted in a screen panel. These screens will have openings that are regular in size and shape. LAYERED screens have two or more screen cloths, usually of different mesh, mounted in a screen panel. These screens will have openings that vary greatly in size & shape. Mesh is defined as the number of openings per linear inch. Mesh, can be measured by starting at the center of one wire and counting the number of openings to a point one inch away. SIZE OF OPENING is the distance between wires in the shaker screen cloth & is usually measured in fractions of an inch or microns. Screens of the same mesh may have different sized openings depending on the diameter of the wire used to weave the screen cloth. The smaller the diameter of the wire results in larger shaker screen openings allowing larger particles to pass through the screen. The larger the diameter of the wire, the smaller the particles that will pass through the screen Remember: It is the size of the opening in a screen not the mesh count that determines the size of the particles separated by the screen. PERCENT OF OPEN AREA: is the amount of the screen surface, which is not blocked by wire. The greater the wire diameter of a given mesh screen, the less open space between the wires. For example; a 4 mesh screen made of thin wire has a greater percent of opening than a 4 mesh screen made of thick wire. The open area of a non-layered, square or oblong mesh can be calculated and should be available from your screen supplier. Drilling fluid shale shaker is used in the drilling mud purification system 1 level solid control equipment.Drilling shale shaker is mainly used to get rid of the big solids particles in the mud from the wellhead back to the ground surface, it enables the mud to be reutilized. Mud cleaner is the second stage mud equipment of solid control system. Mud Cleaner is a desilter unit that is used to remove sand particles which have a grain size of 20 microns or less. All those solids that are not removed by a shale shaker are removed by a desander. Further the smaller size of granules lesser than 20 microns are removed by the desilter. 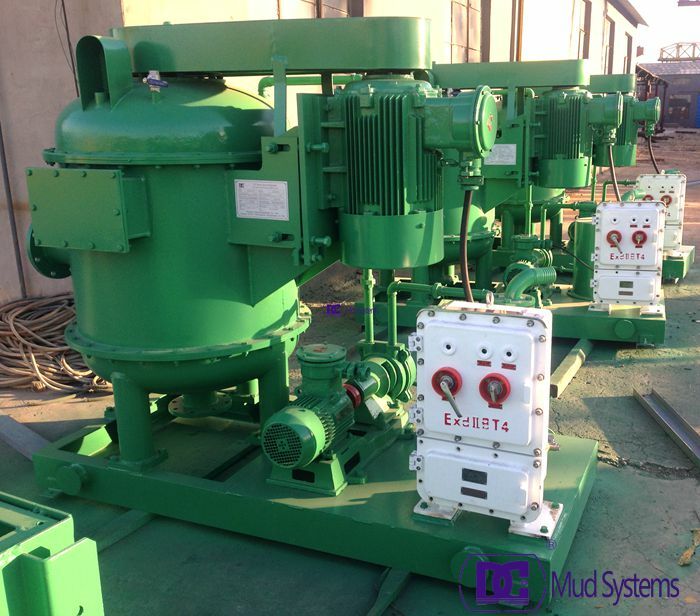 Mud cleaners do not have any moving parts and the removal of sand and silt from the drilling fluid is done by the centrifugal force on the device. 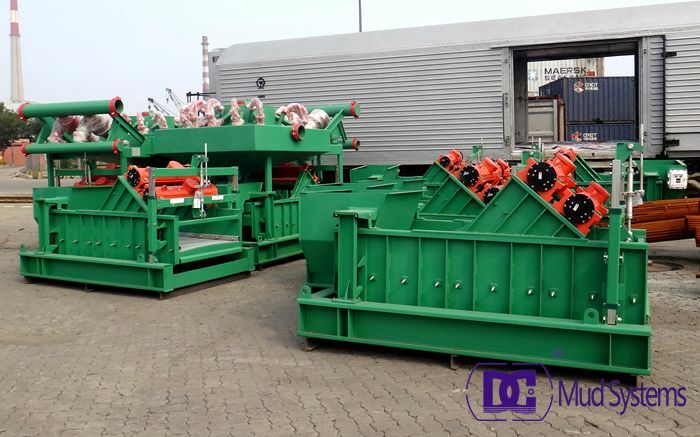 This times DC Solid control shipped many sets linear motion shale shaker and mud cleaner to abroad. Meanwhile, The clients ordered a ZJ4000 solid control system now, and we will delivering it in next month. So please notice my blog, I will updating it once we delivery the solid control system. To be as a leadder supplier of decanter centrifuge in China. We solid hundreds decanter centrifuge to all over the world per year. 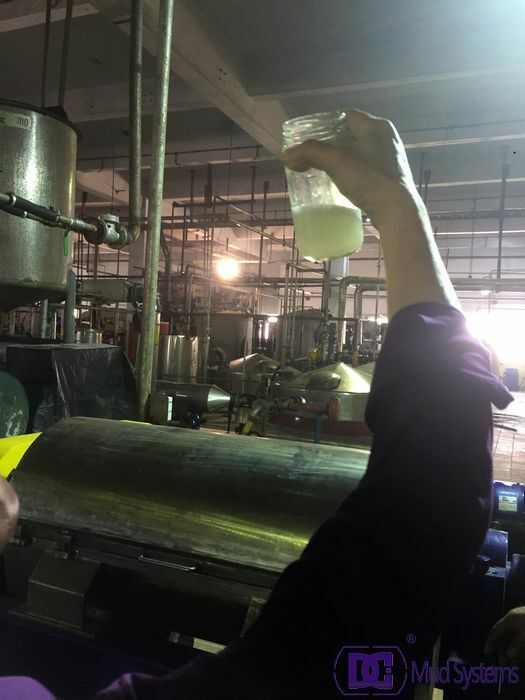 This time, our decanter centrifuge engineer got to Karachi to free adjust teh centrifuge, meanwhile, train the using workers. 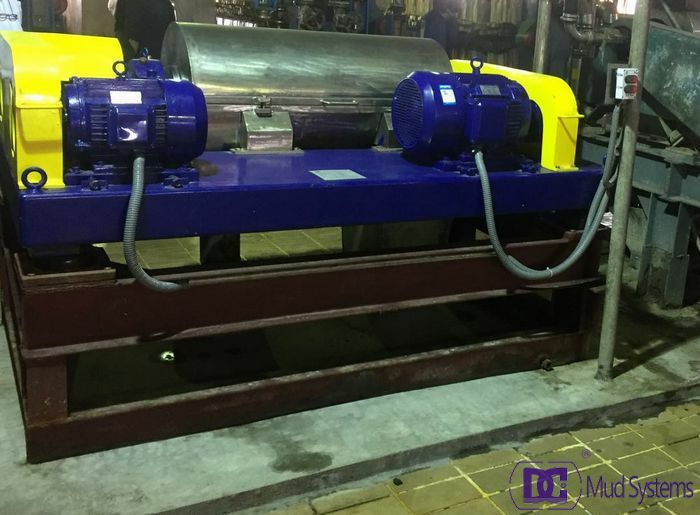 DC’s high speed, high performance decanter centrifuges are ruggedly built for industrial service and are especially effective in environmentally sensitive areas. With their robust construction and corrosion-resistant materials, DC centrifuges provide long service lives and have low maintenance costs even in the toughest environments. Features of these centrifuges include rugged construction and corrosion-resistant materials; three-port feed tube; back drive speed adjustable from -18 to +85 RPMs; and tungsten carbide scroll points. DC Machinery also design and manufacture many types decanter centrifuge used for many industries. If you have special request, please contact me.